Plan B in full effect. Since the Roger Waters matrix is taking forever, I figured in the meantime I’d do a full 180 and serve up a little something from the end of David’s On An Island Tour. I’ve been wanting to do this for a long time and this is the perfect opportunity. I give you the complete “Live From Abbey Road” session, 29. August, 2006 with a few extras. Here’s the playlist. Enjoy, and if you do please donate. This entry was posted in David Gilmour by Doc. Bookmark the permalink. Seems we share the same moniker, Doc…I just want to say that your site is a treasure for all of us who love alternative and live PF, RW, DG recordings…There’s no other site that compares…WELL DONE…Let’s Rock, Doc…!!! That undeniable Gilmour tone . Love the podcast Doc. Perfection as always… Shine On! Really like this mix, the barn jams fit in quite nicely. I agree with you Doc — DG went to the trouble to record so many takes and jams, it seems like someone could construct a great CD (or two) worth. A beautiful gig! Nice to have it all together. Any chance of posting the entire Clam Castle or Mermaid Theater gigs in the future? Cheers! Thanks for this neat little plan B. It’s been a while since I listened to the OAI material. Amazing. Gracias por compartir este material històrico !!!!!!! Very nice! 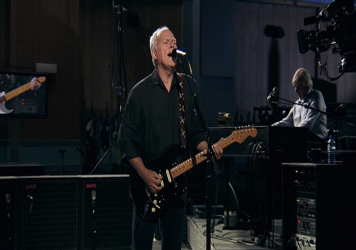 I enjoyed the “Live from Abbey Road” program (wish it was still on TV) and was thrilled when David Gilmour appeared on it. Can’t believe it’s been almost 7 years. The acoustic version of —— was a special treat, completely unexpected. Thanks for this and the podcast, looking forward to your matrix when it finishes rendering. Cheers!